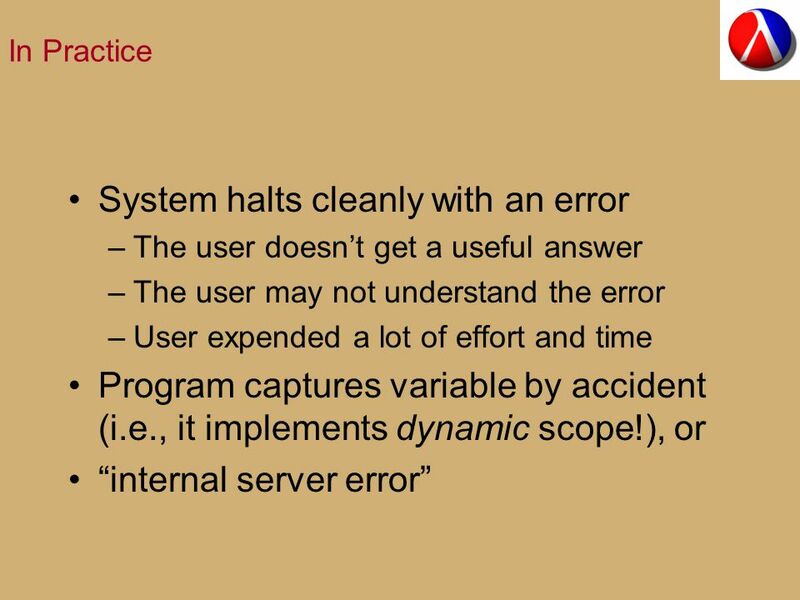 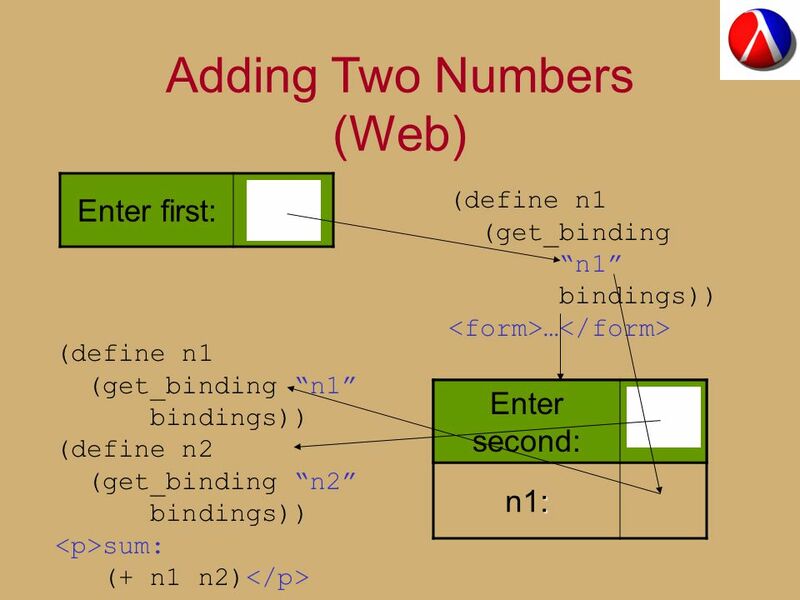 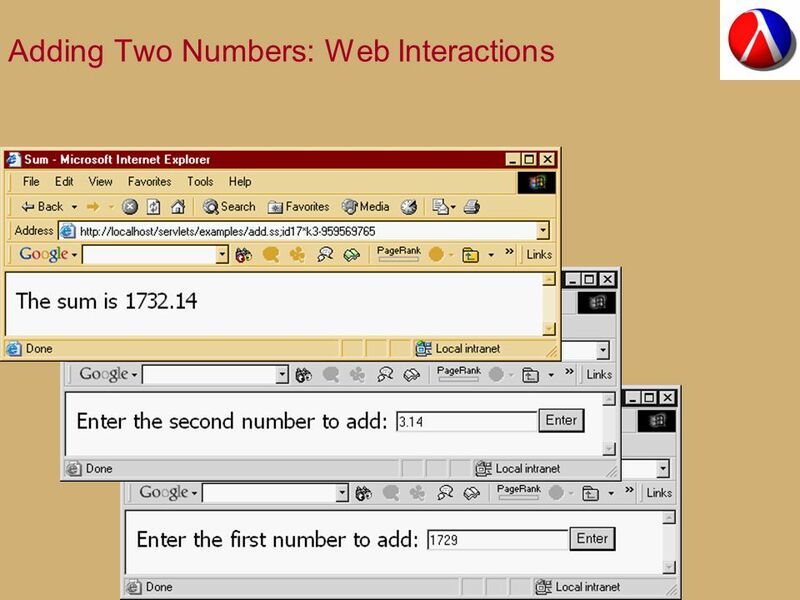 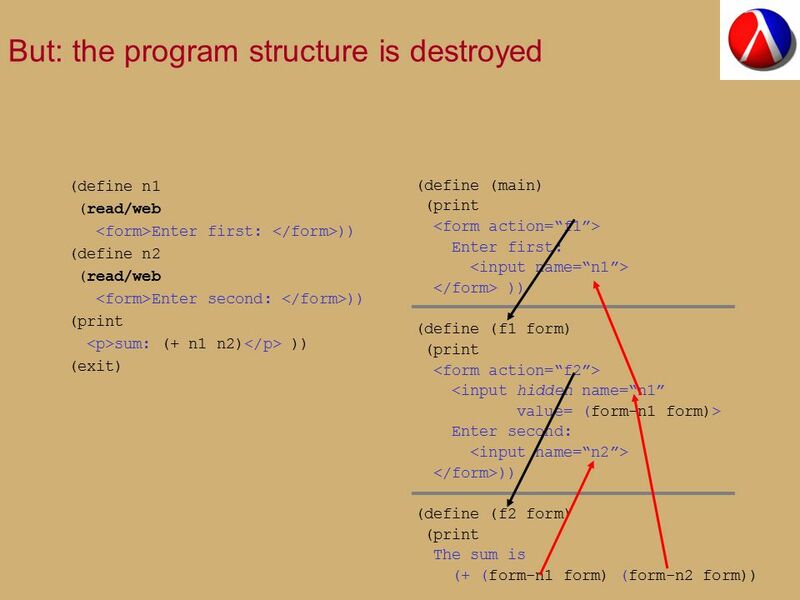 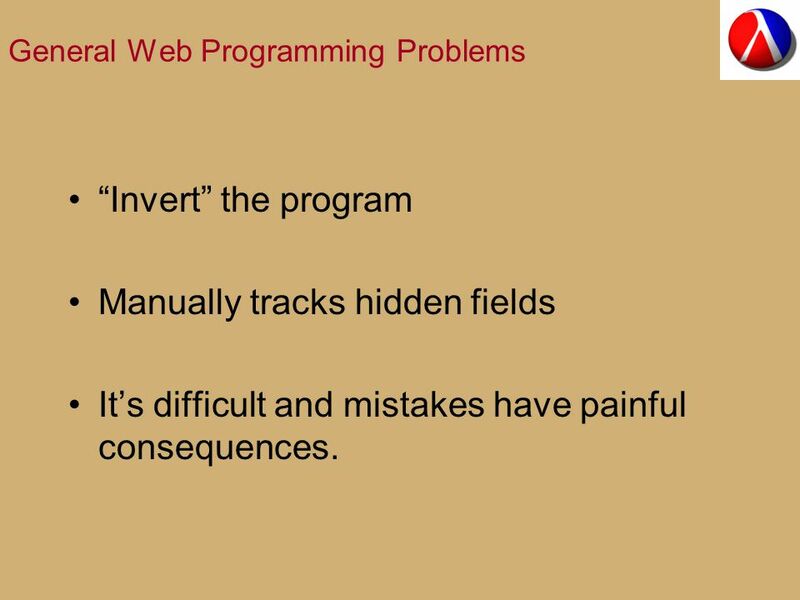 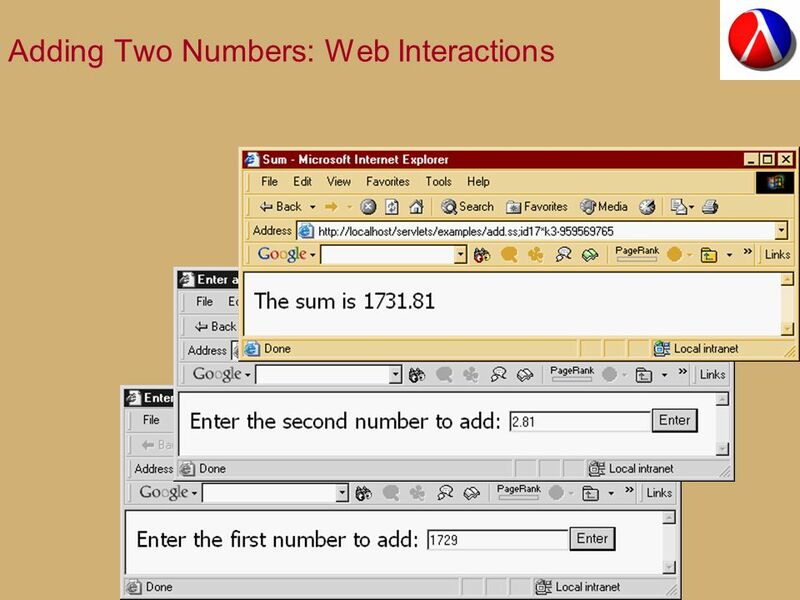 40 General Web Programming Problems “Invert” the program Manually tracks hidden fields It’s difficult and mistakes have painful consequences. 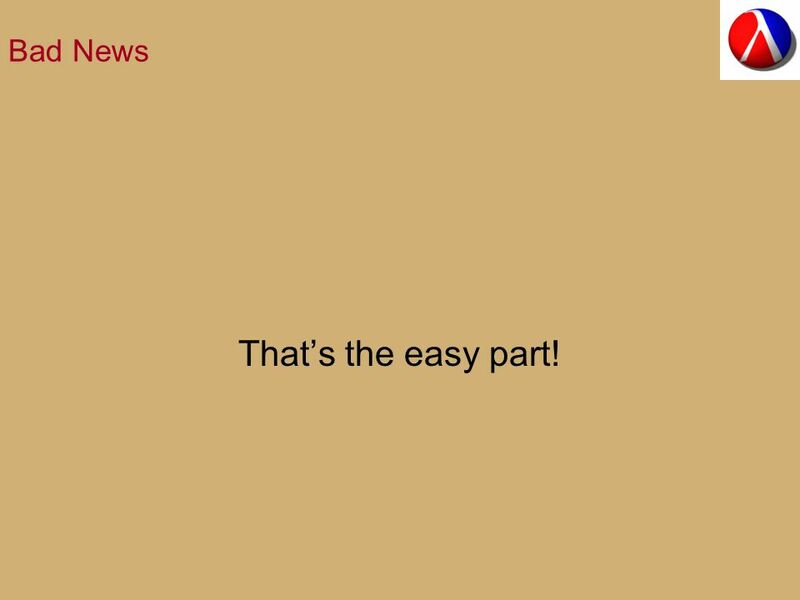 41 Bad News That’s the easy part! 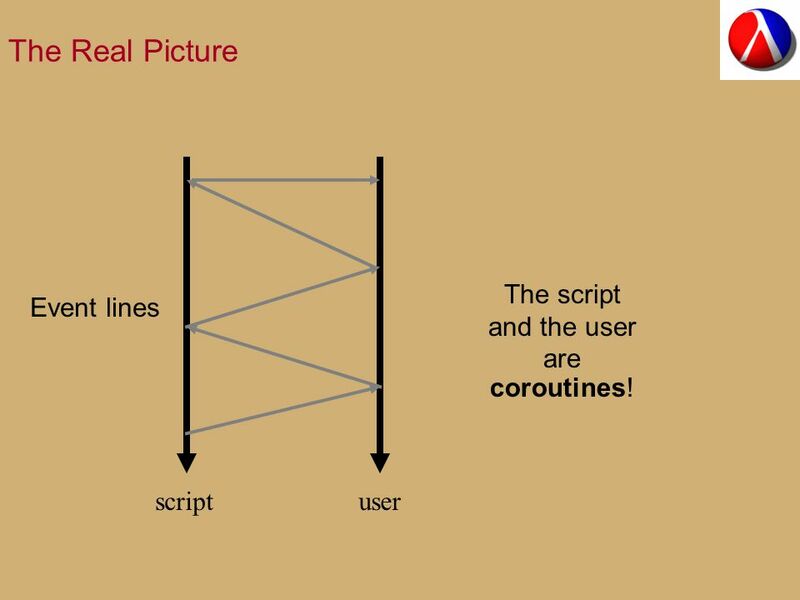 42 The Real Picture The script and the user are scriptuser Event lines coroutines! 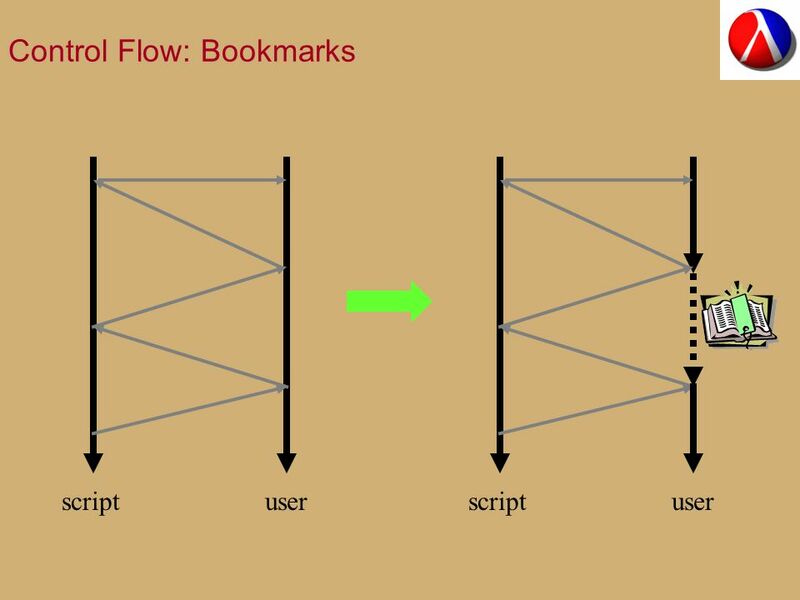 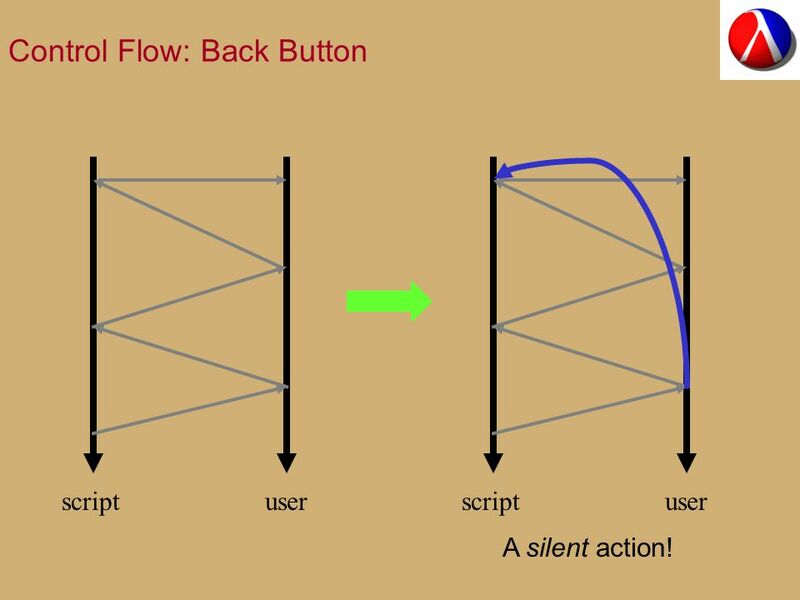 43 Control Flow: Back Button scriptuserscriptuser A silent action! 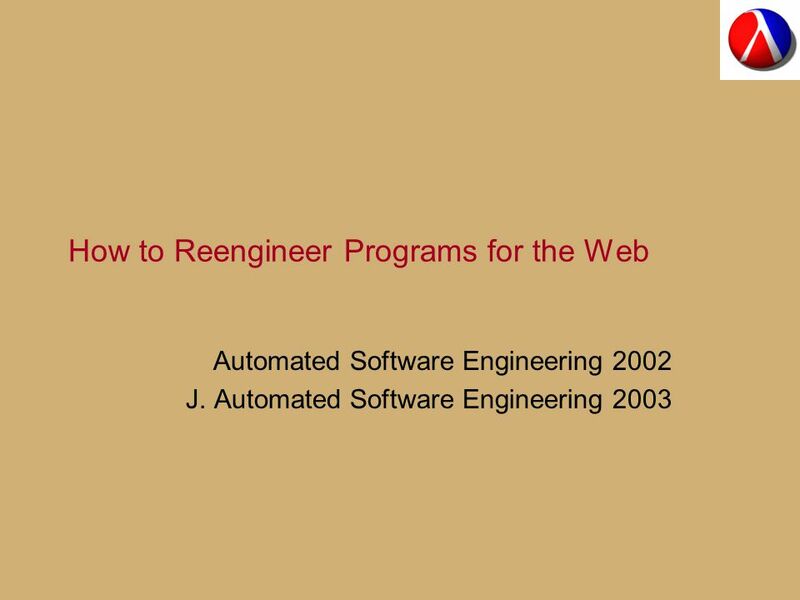 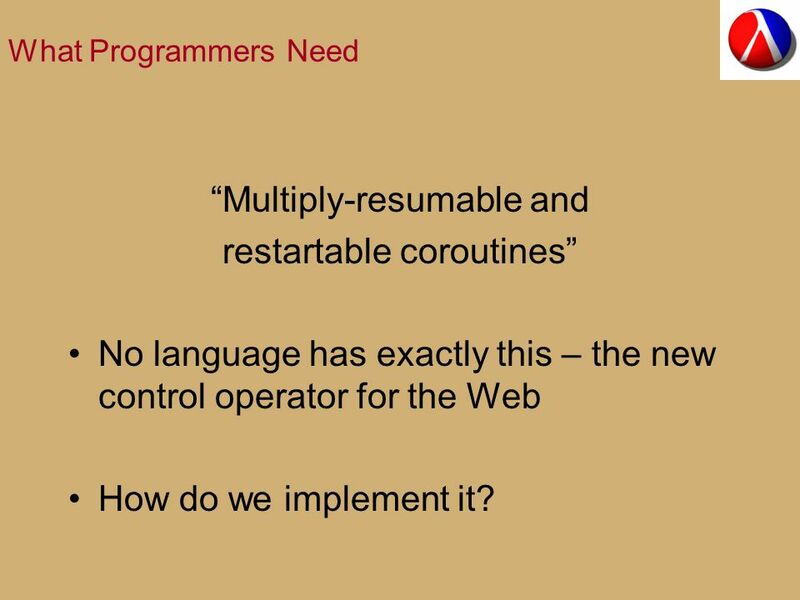 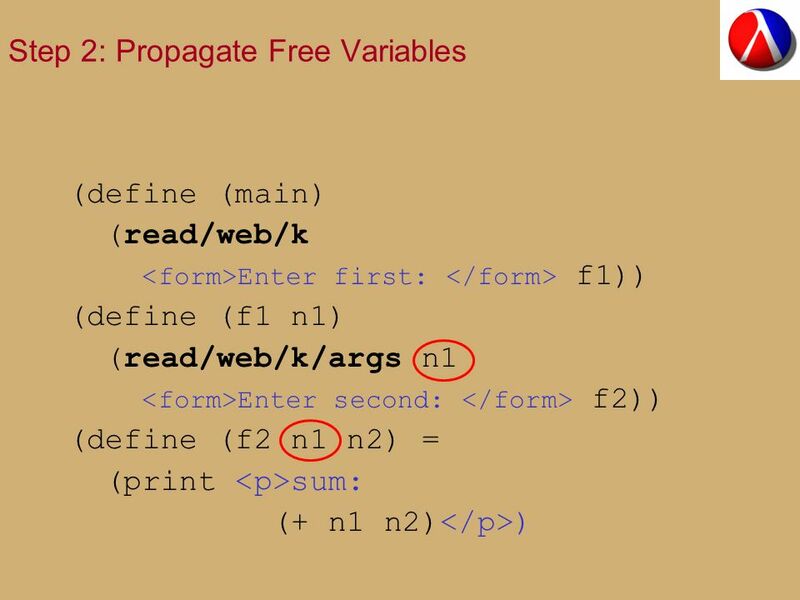 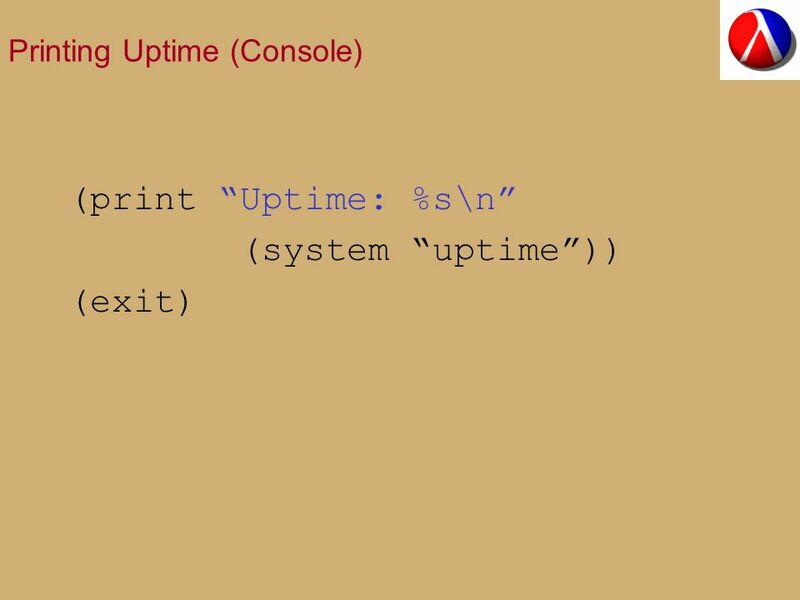 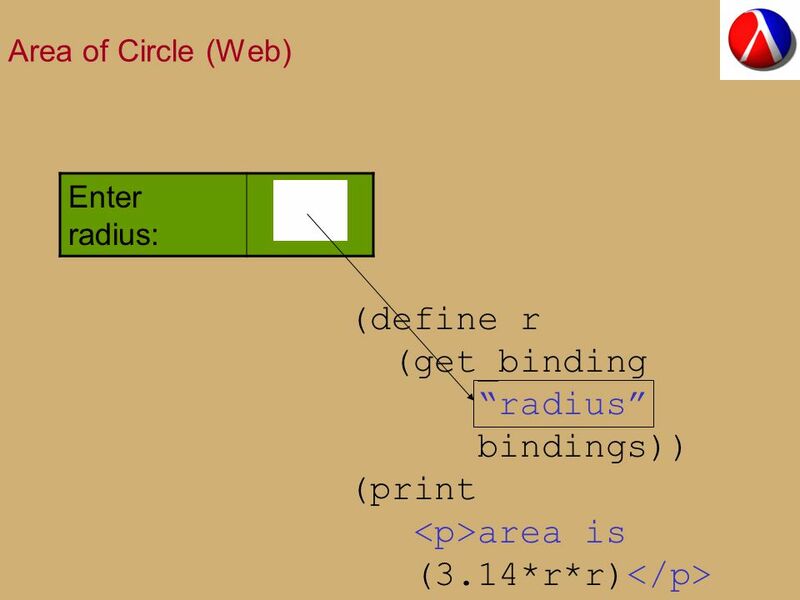 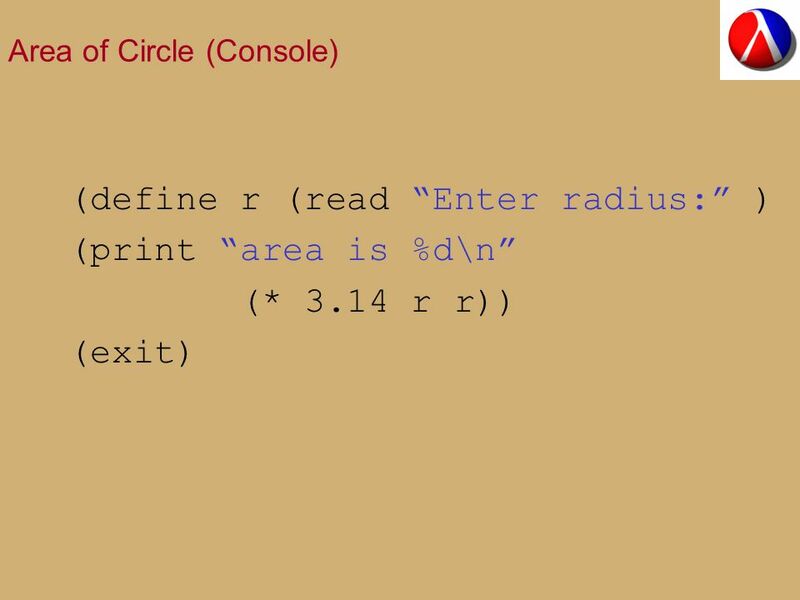 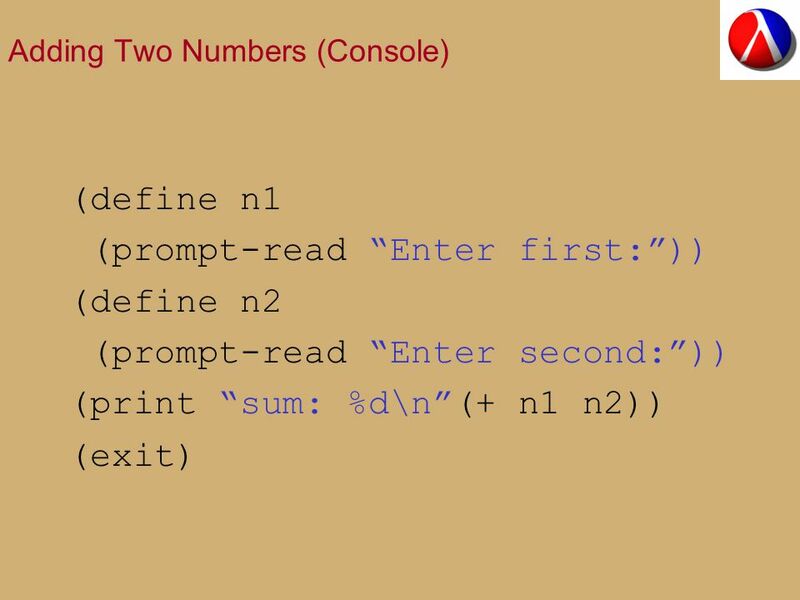 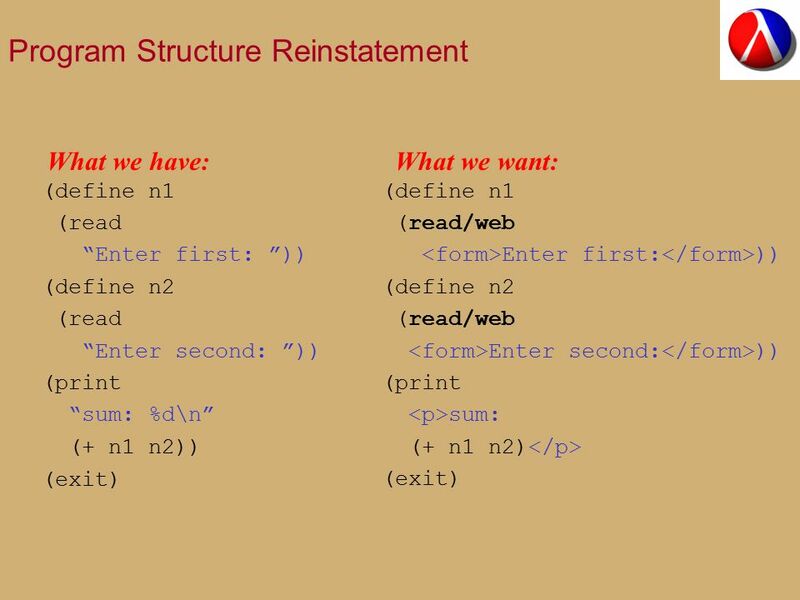 46 What Programmers Need “Multiply-resumable and restartable coroutines” No language has exactly this – the new control operator for the Web How do we implement it? 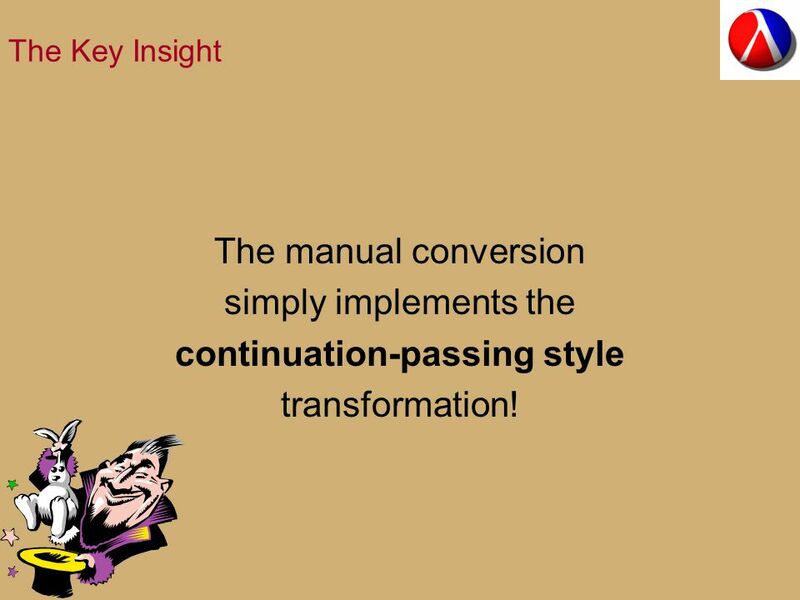 52 The Key Insight The manual conversion simply implements the continuation-passing style transformation! 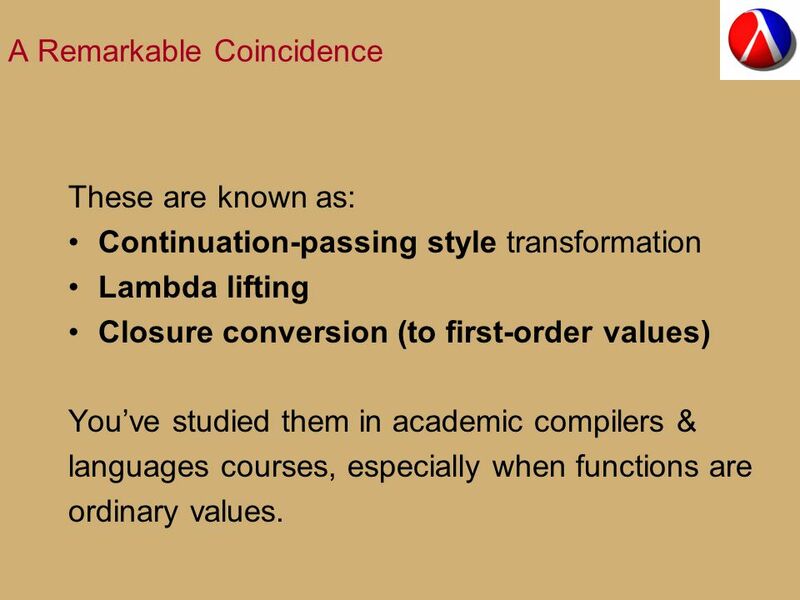 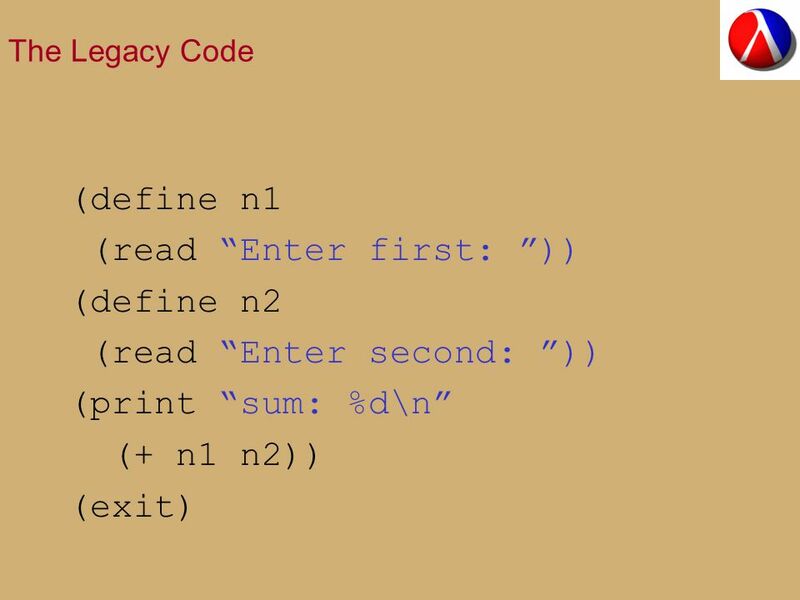 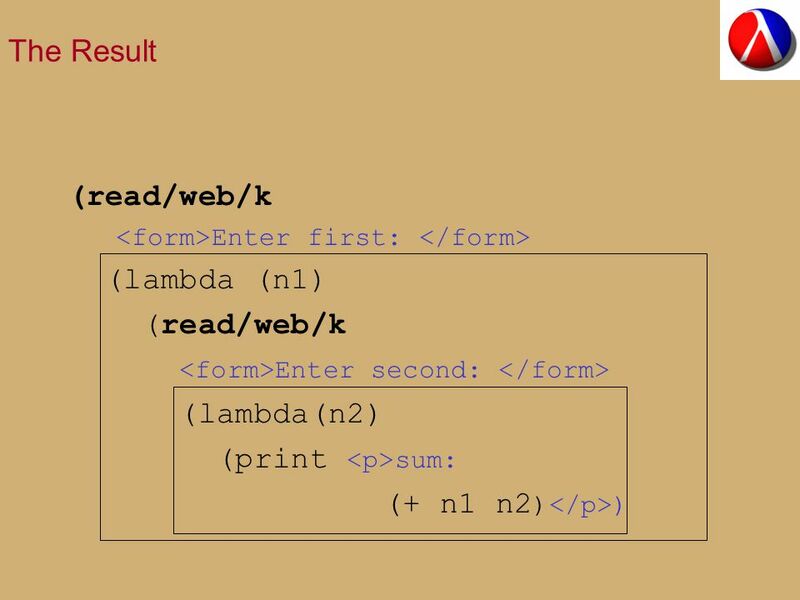 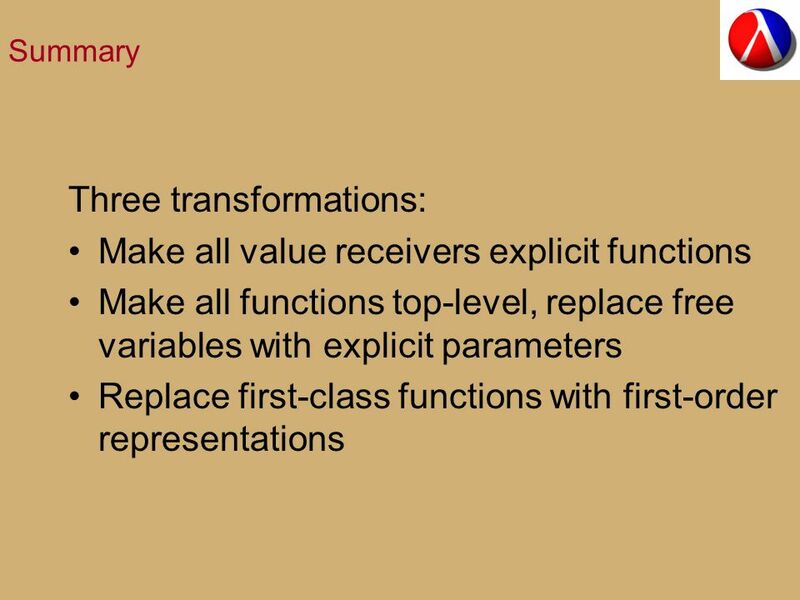 60 A Remarkable Coincidence These are known as: Continuation-passing style transformation Lambda lifting Closure conversion (to first-order values) You’ve studied them in academic compilers & languages courses, especially when functions are ordinary values. 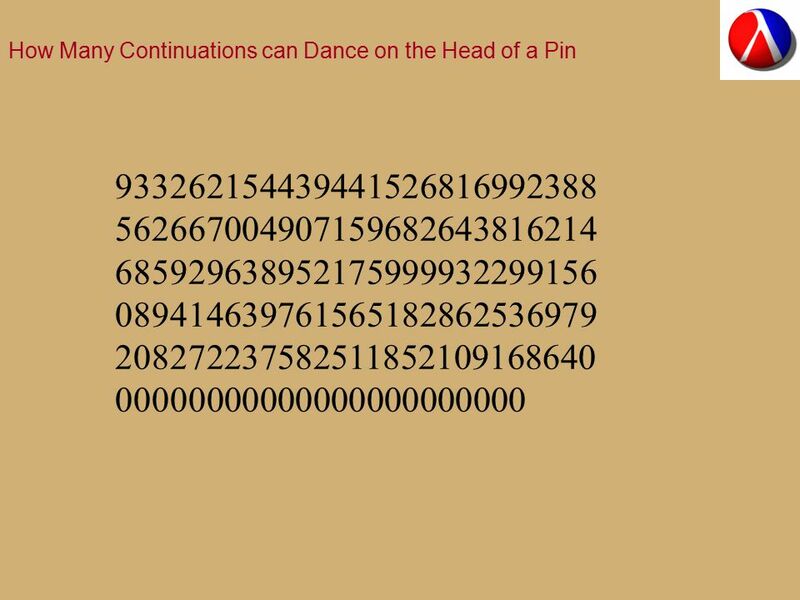 63 Now What? 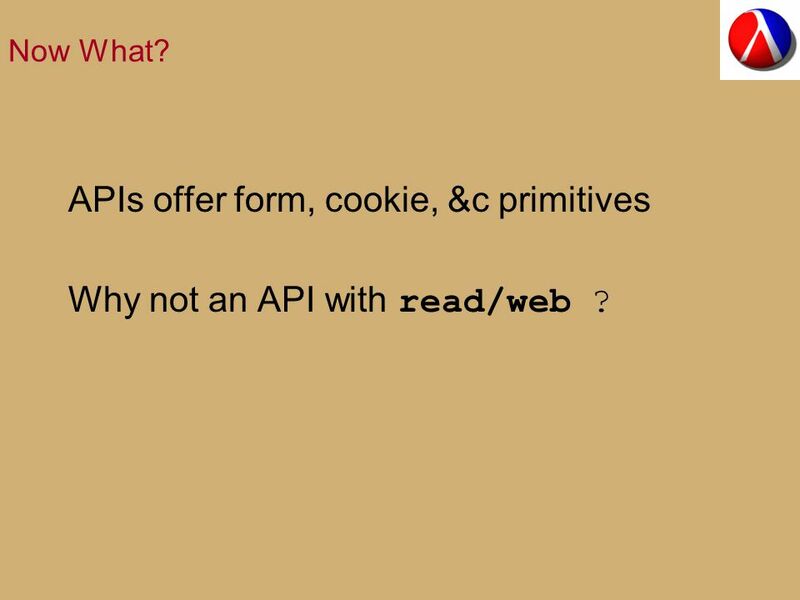 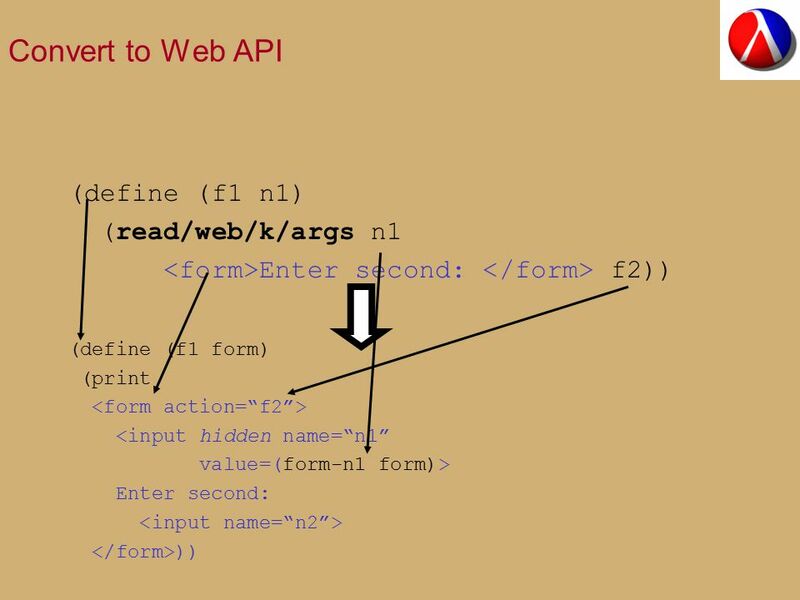 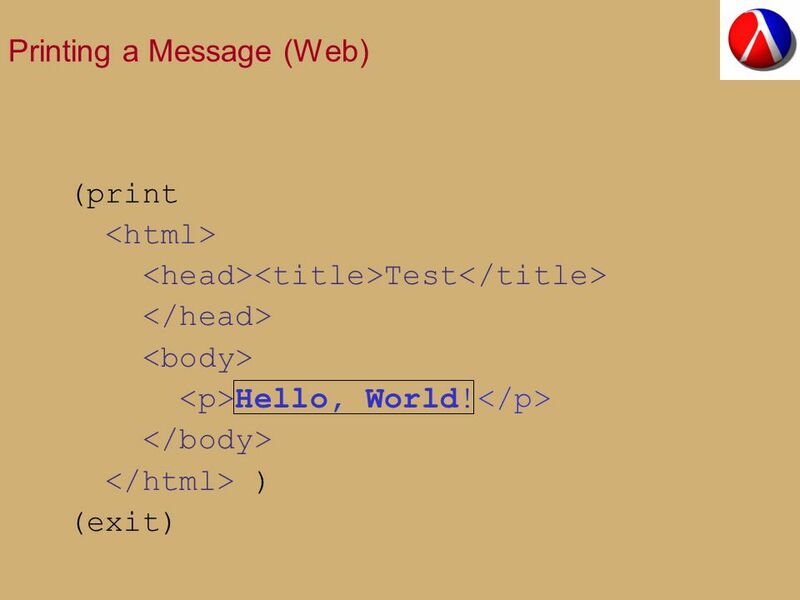 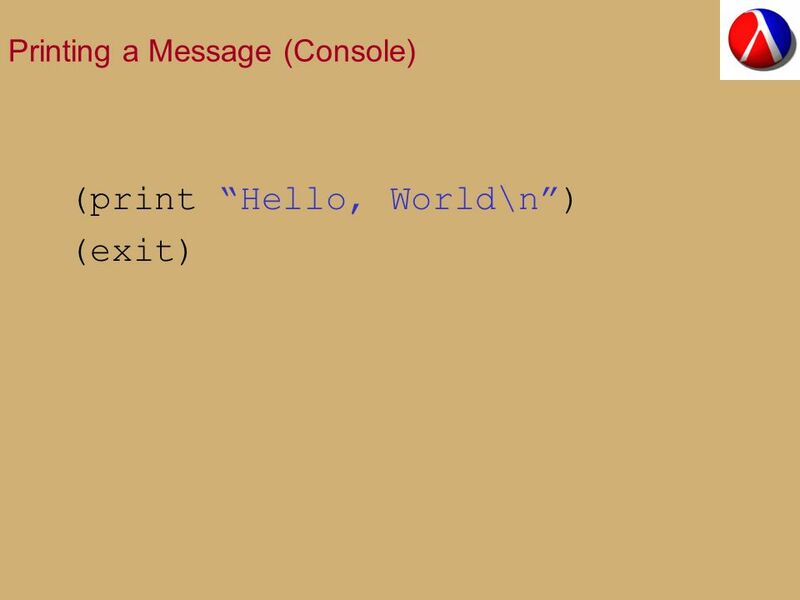 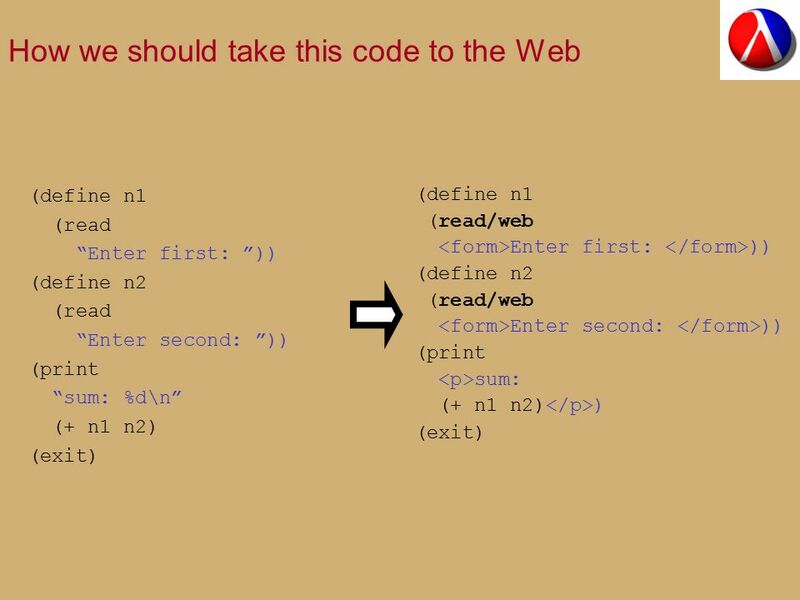 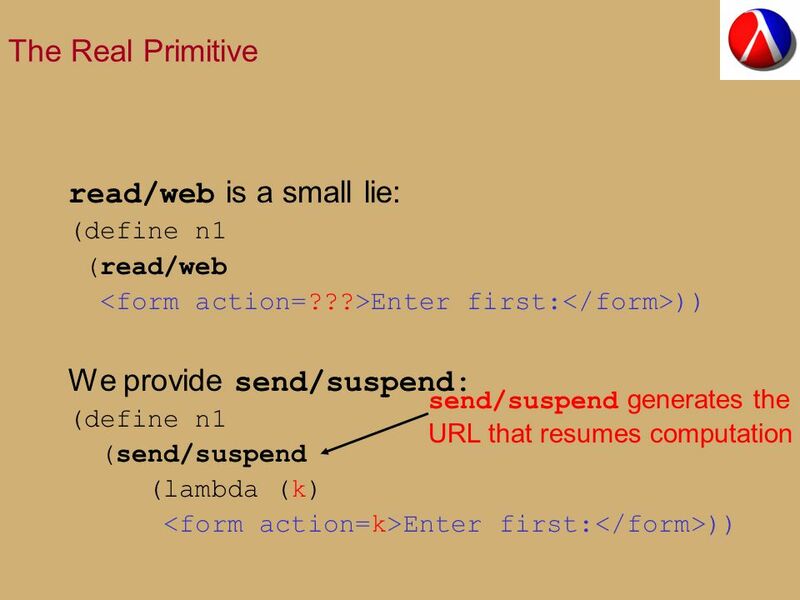 APIs offer form, cookie, &c primitives Why not an API with read/web ? 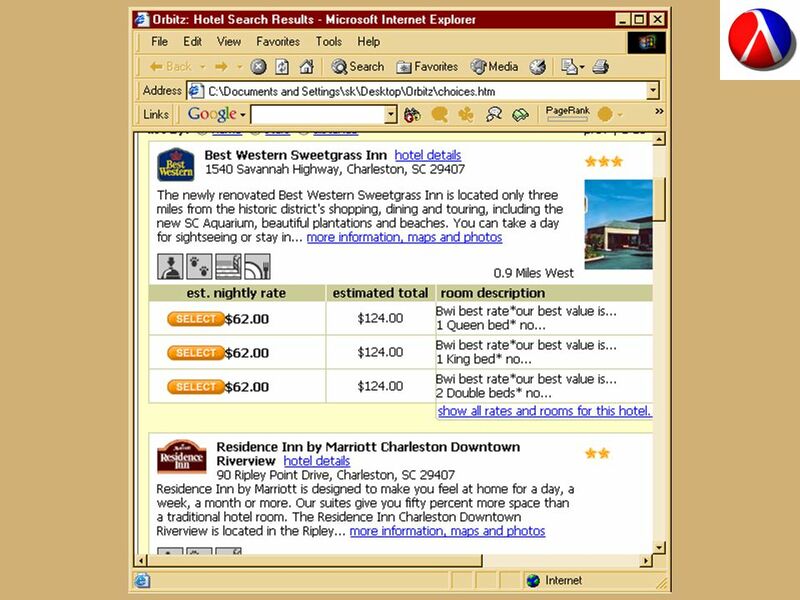 64 Now what? 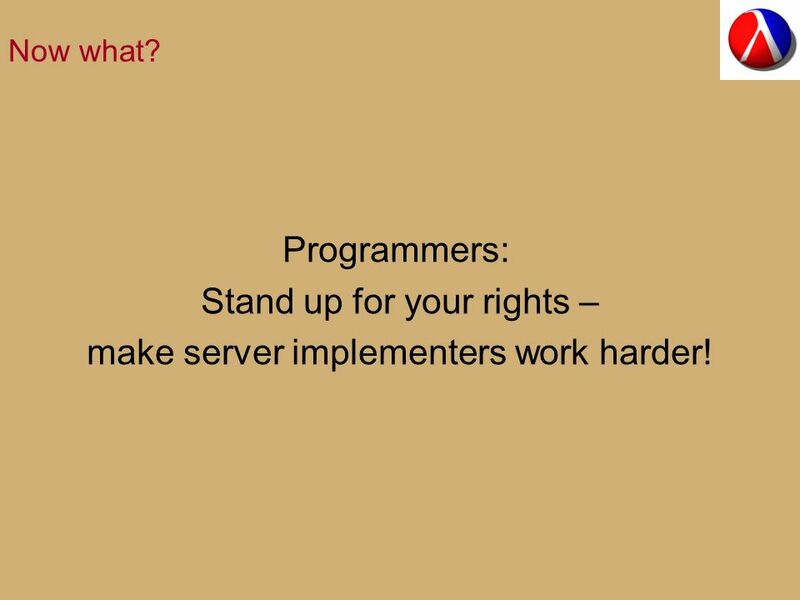 Programmers: Stand up for your rights – make server implementers work harder! 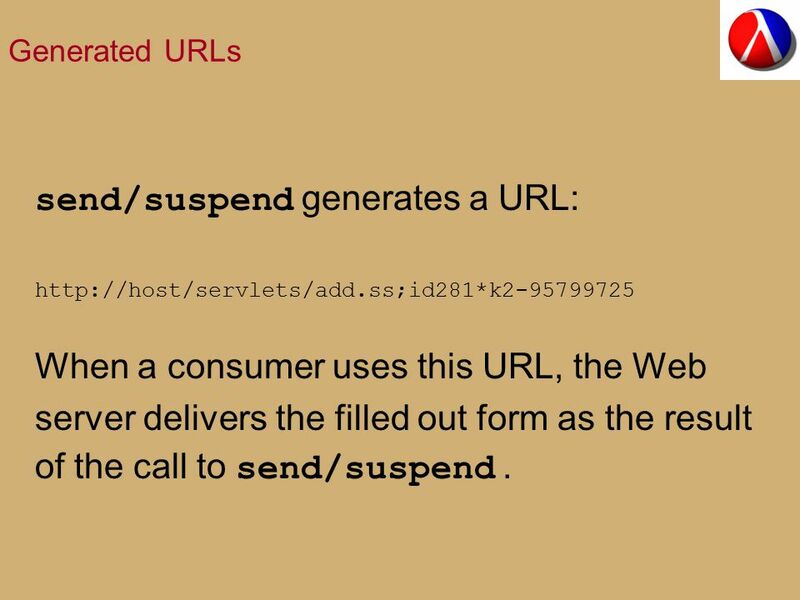 66 Generated URLs send/suspend generates a URL: http://host/servlets/add.ss;id281*k2-95799725 When a consumer uses this URL, the Web server delivers the filled out form as the result of the call to send/suspend. 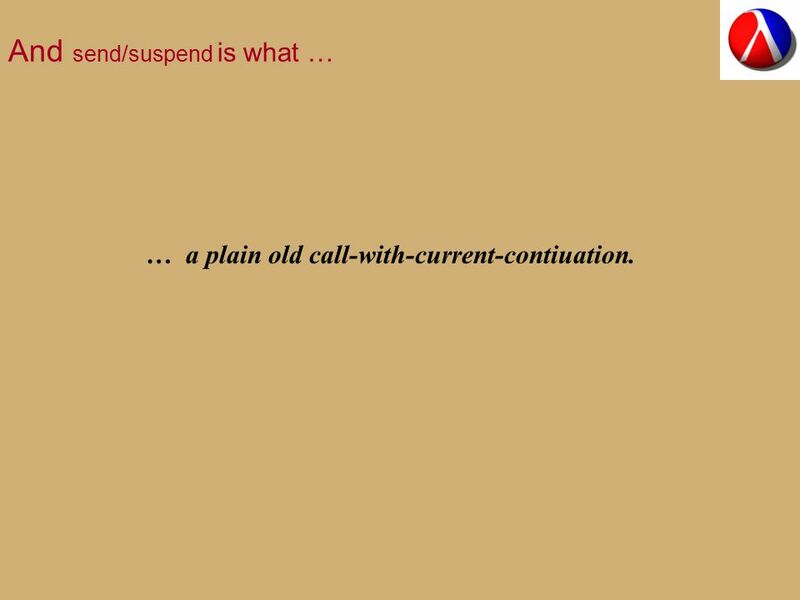 67 And send/suspend is what … … a plain old call-with-current-contiuation. 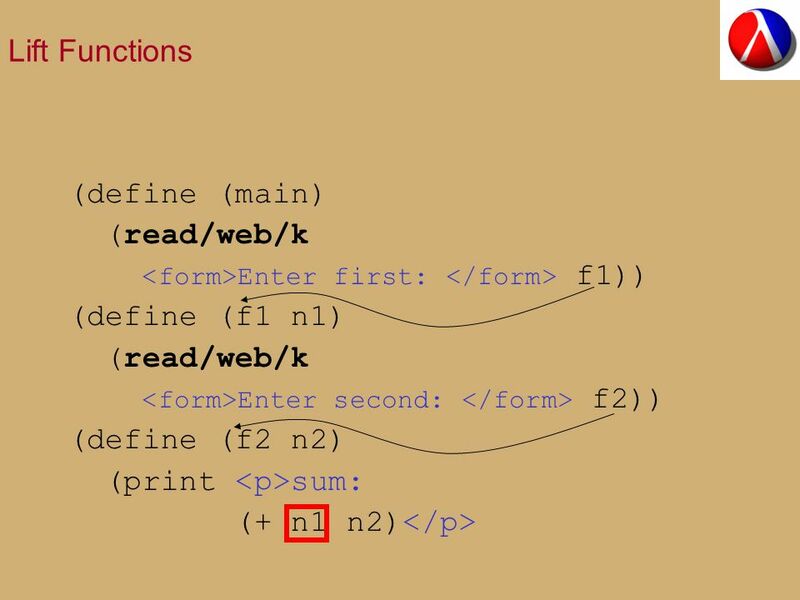 71 So what does this mean? 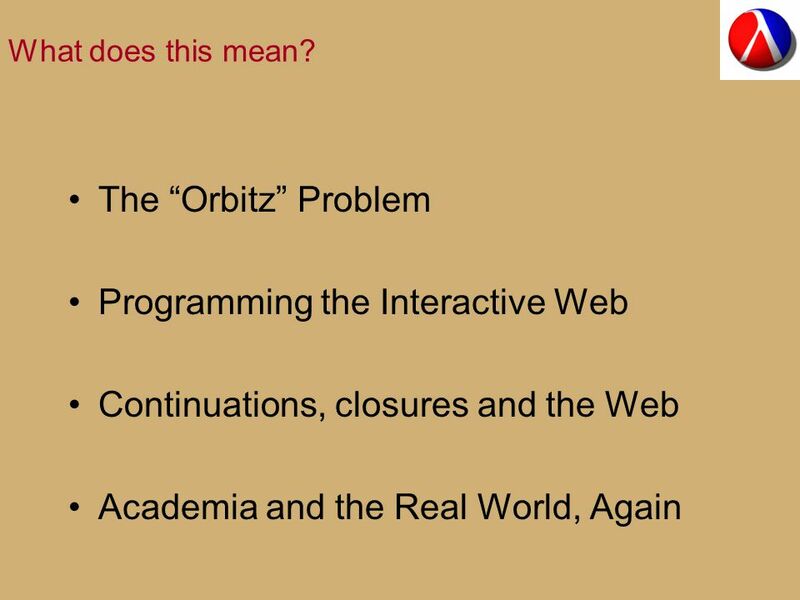 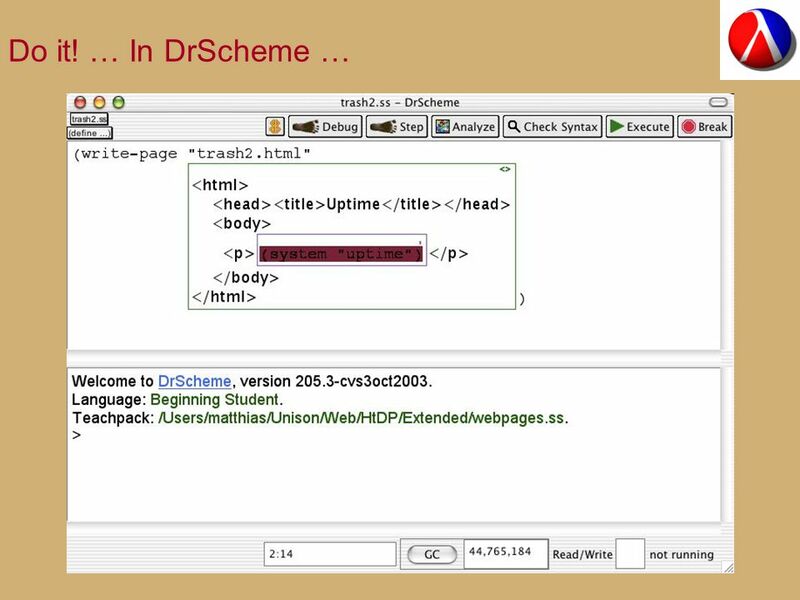 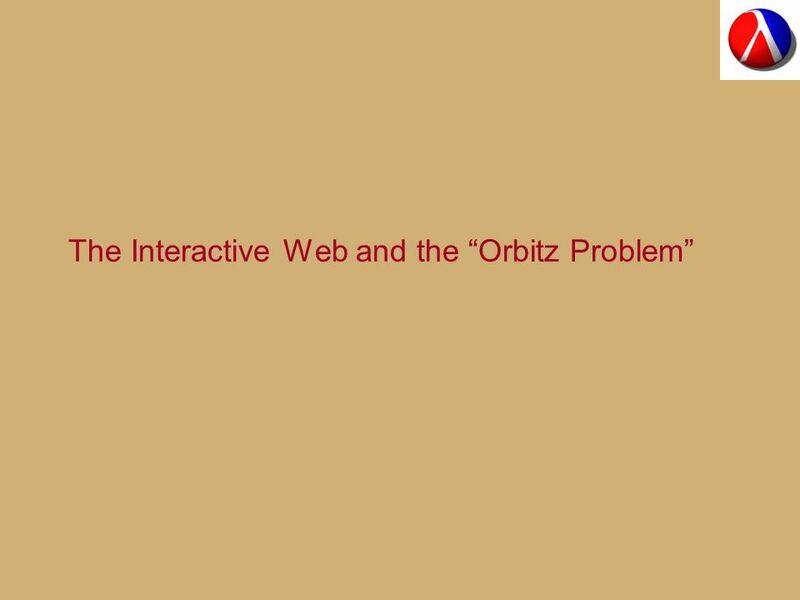 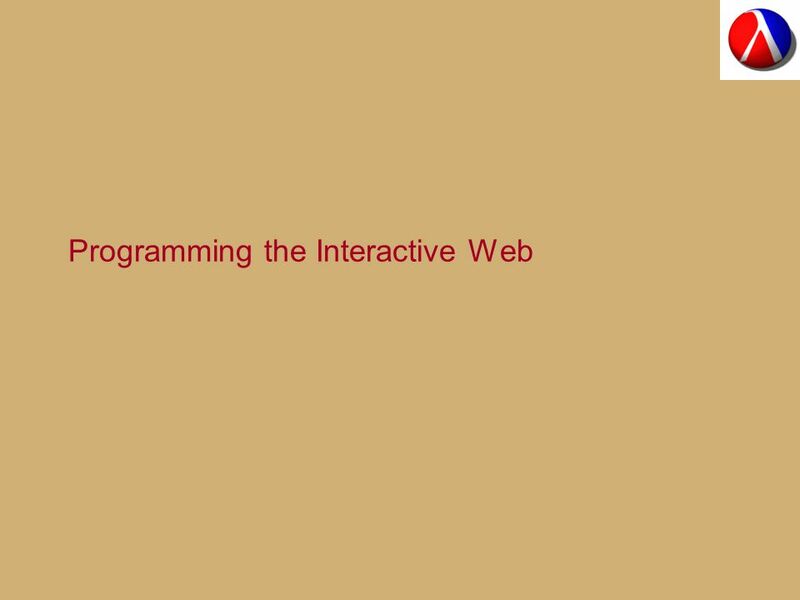 Because we have closures and continuations in Scheme and because this motivates us to think about CPS and friends, we can design, implement, and teach robust interactive Web programs easily. 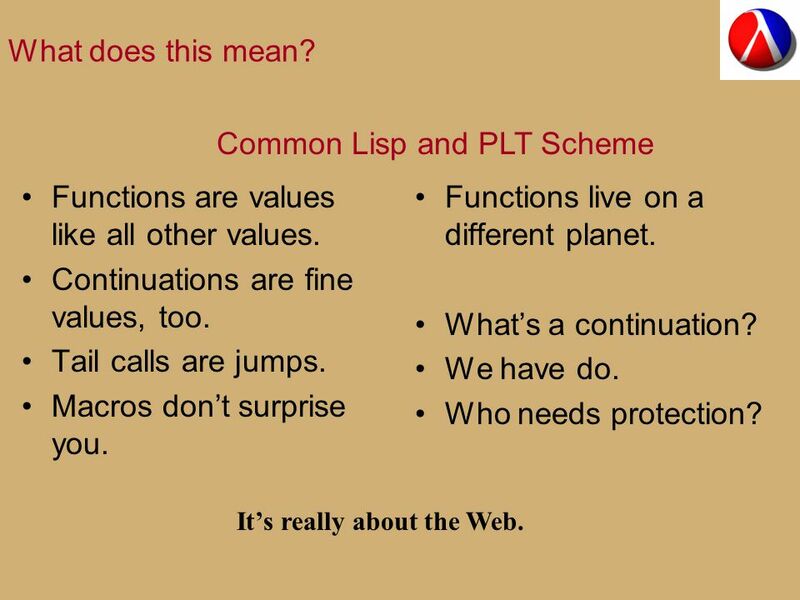 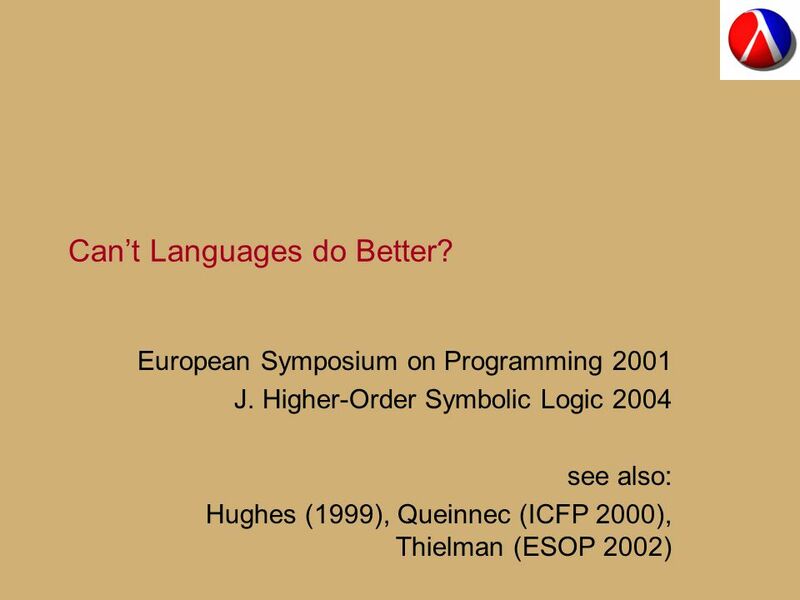 Can Common LISPers do it? 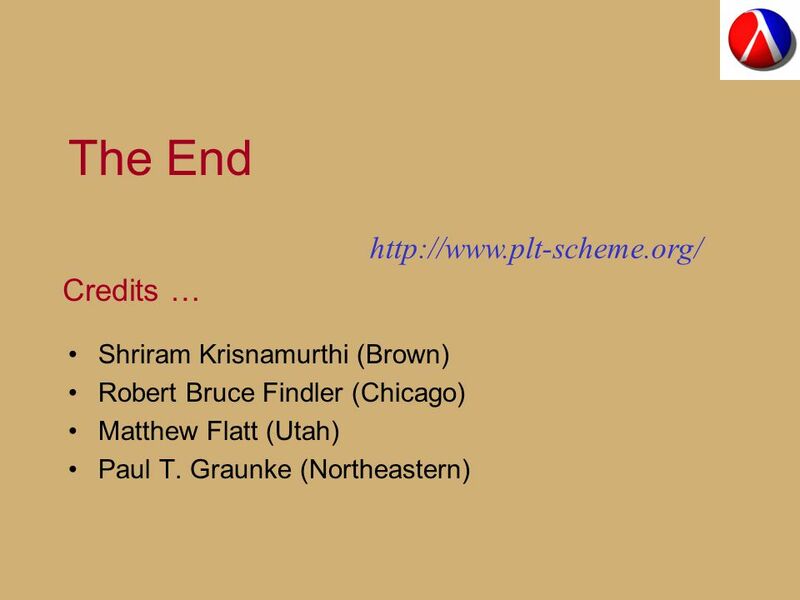 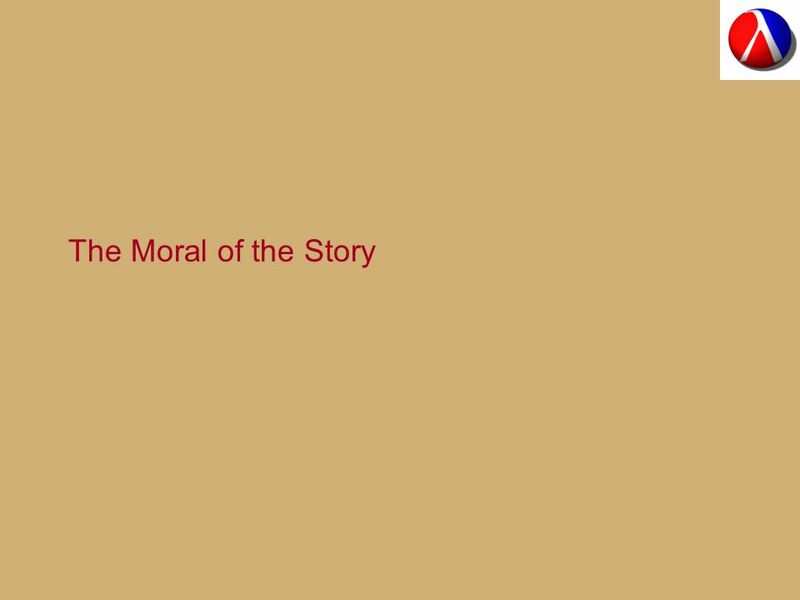 Paul Graham did it. 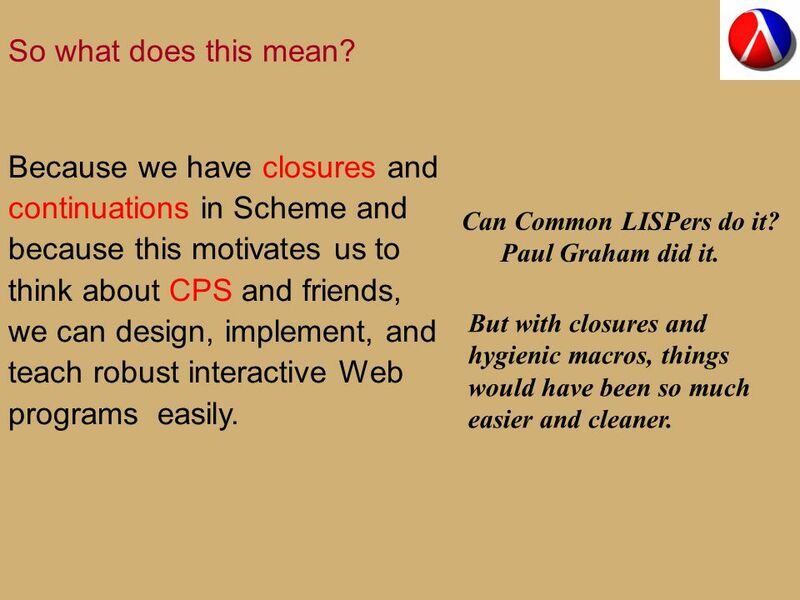 But with closures and hygienic macros, things would have been so much easier and cleaner. 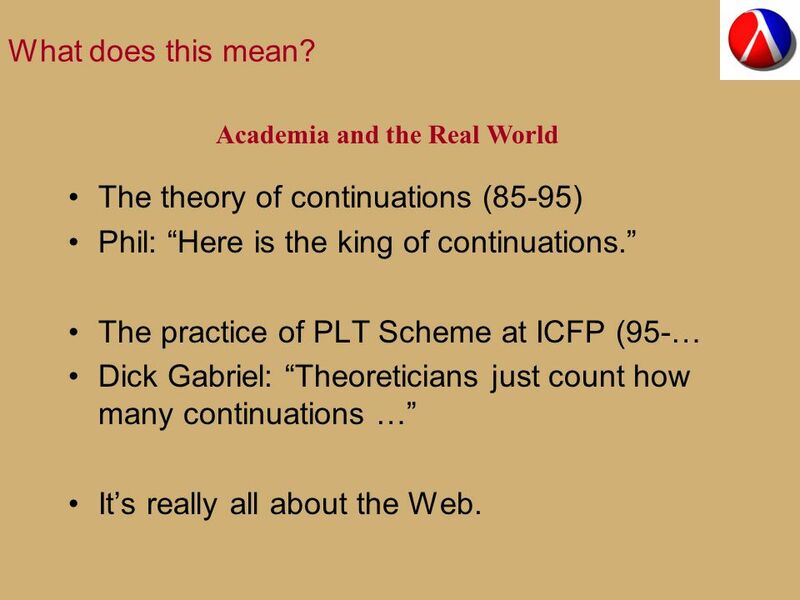 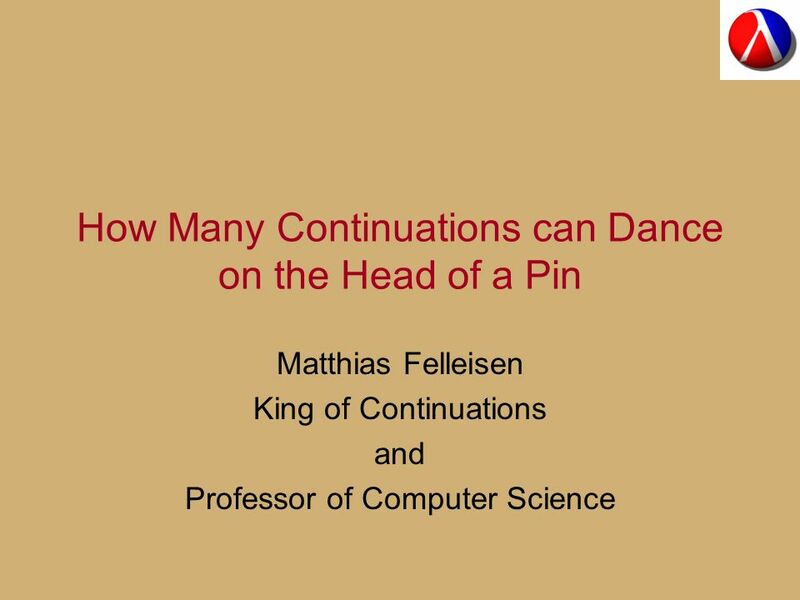 Download ppt "How Many Continuations can Dance on the Head of a Pin Matthias Felleisen King of Continuations and Professor of Computer Science." 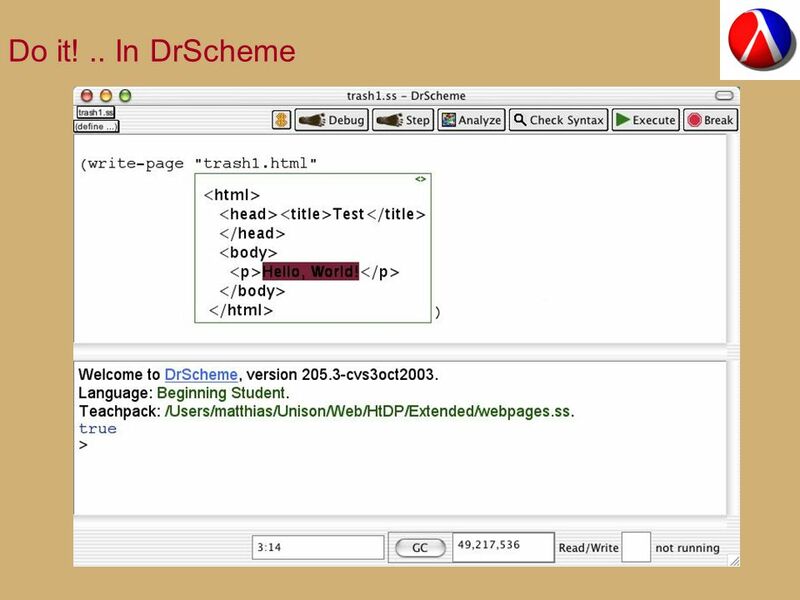 / department of mathematics and computer sciencedepartment of mathematics and computer science / architecture of information systems. 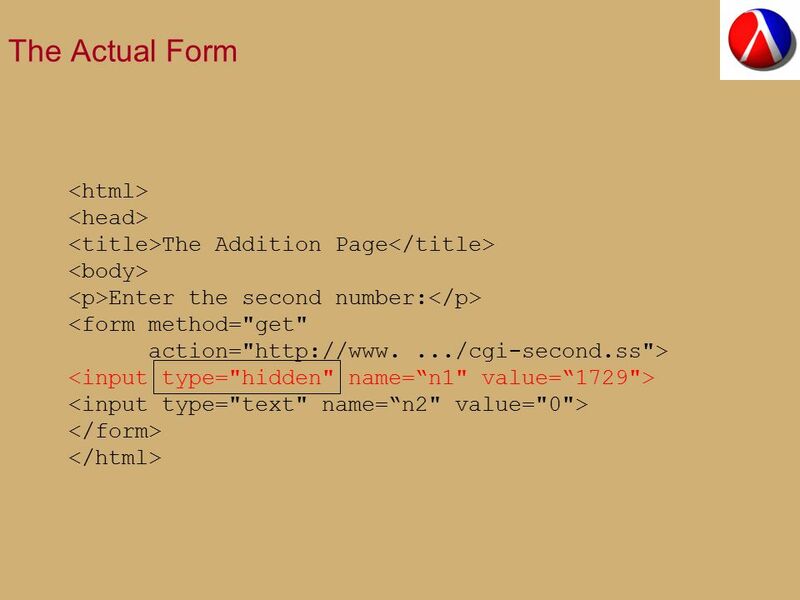 24-Aug-14 HTML Forms. 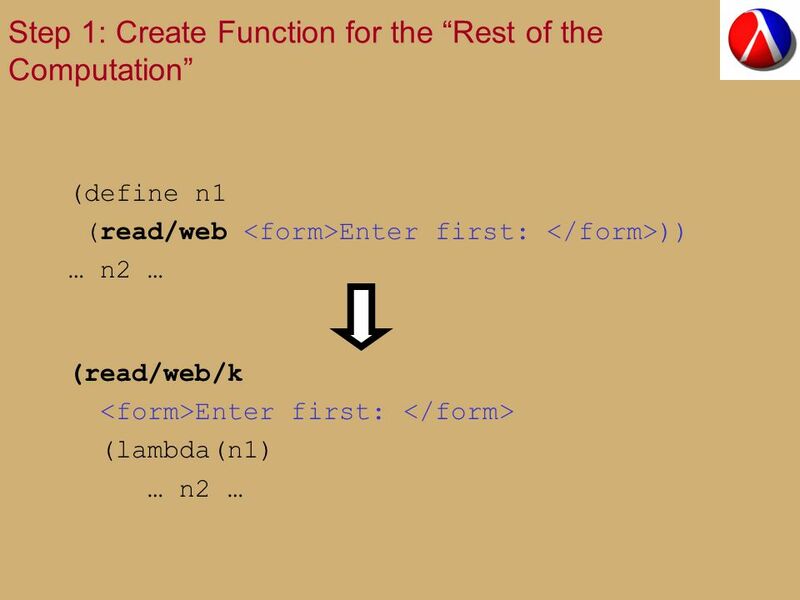 2 What are forms? 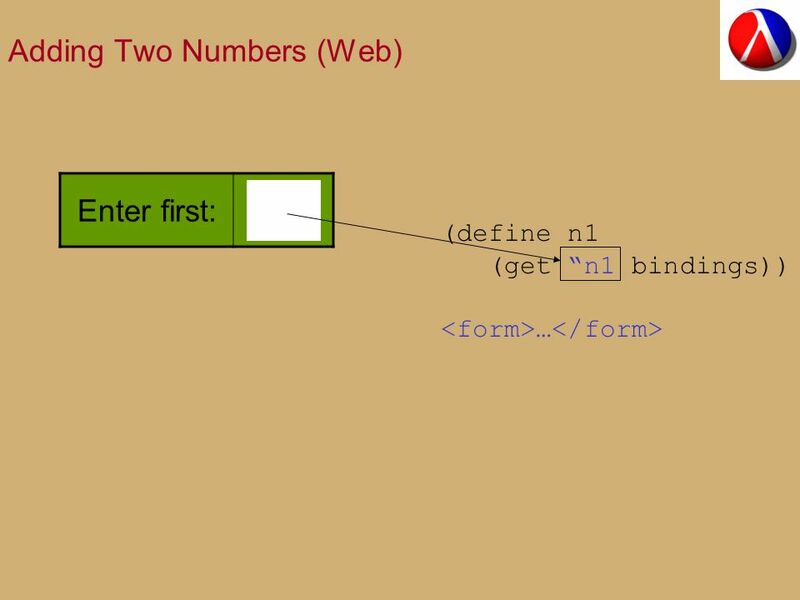 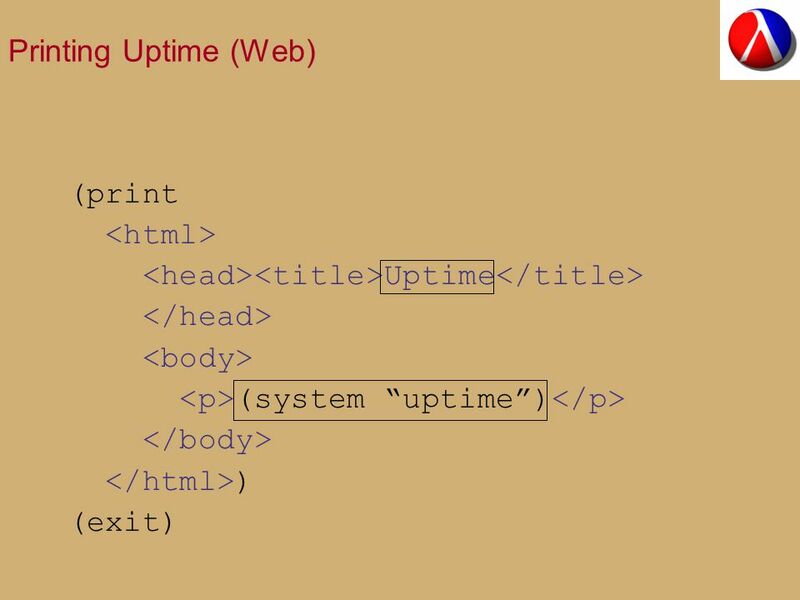 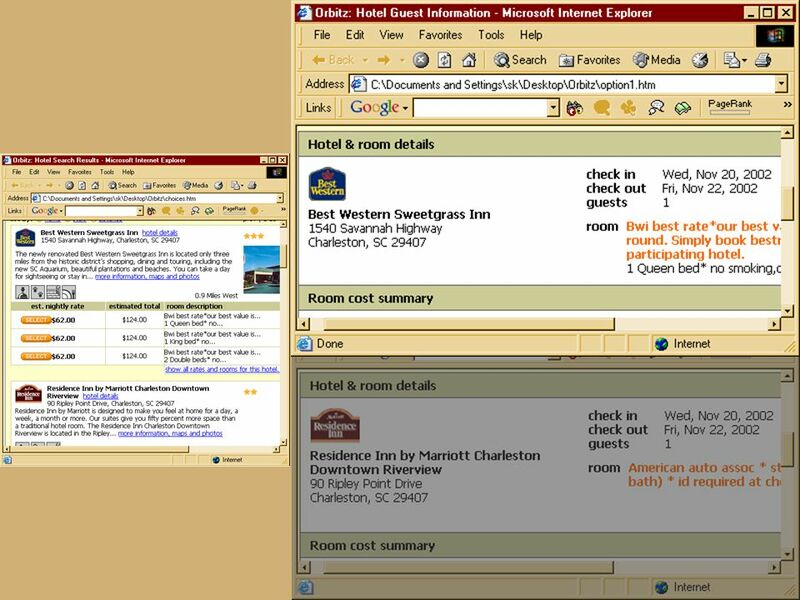 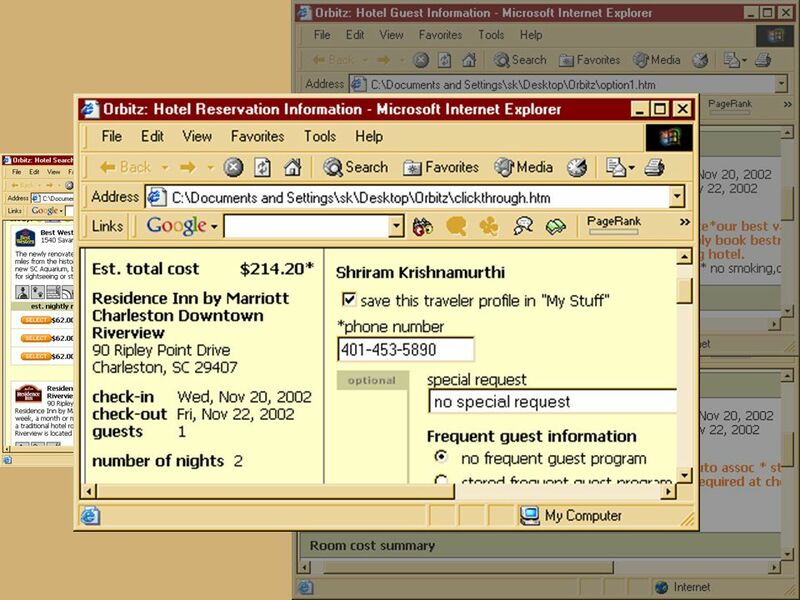 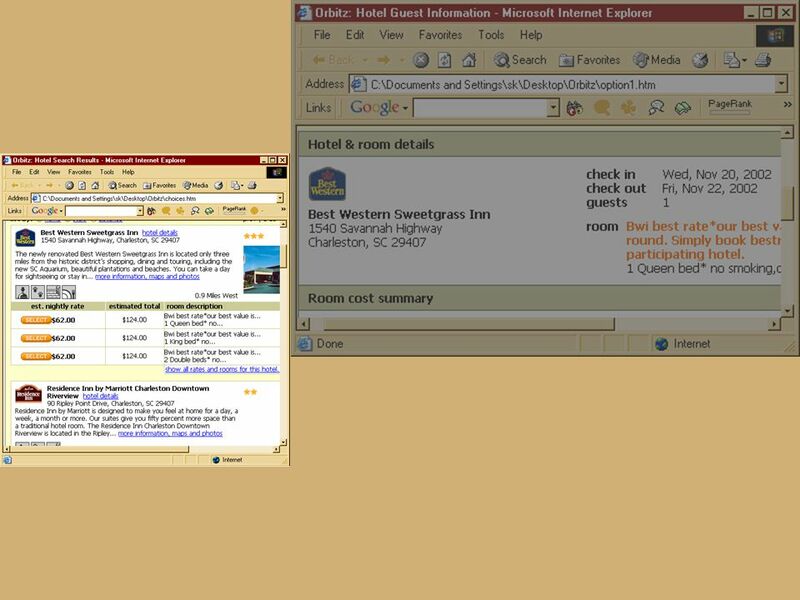 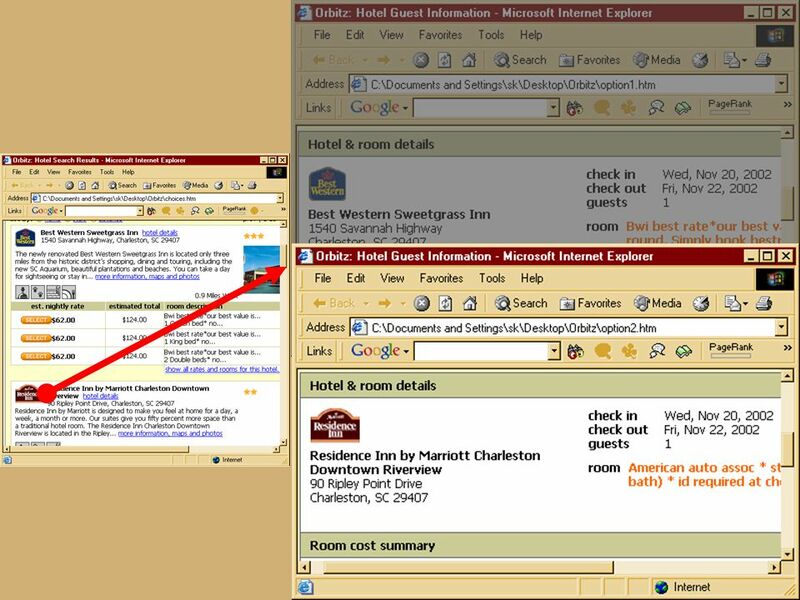 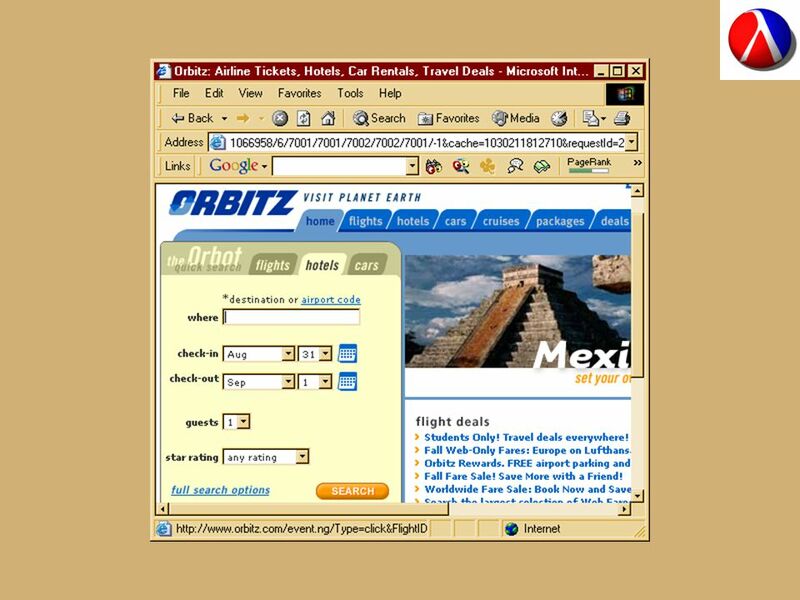 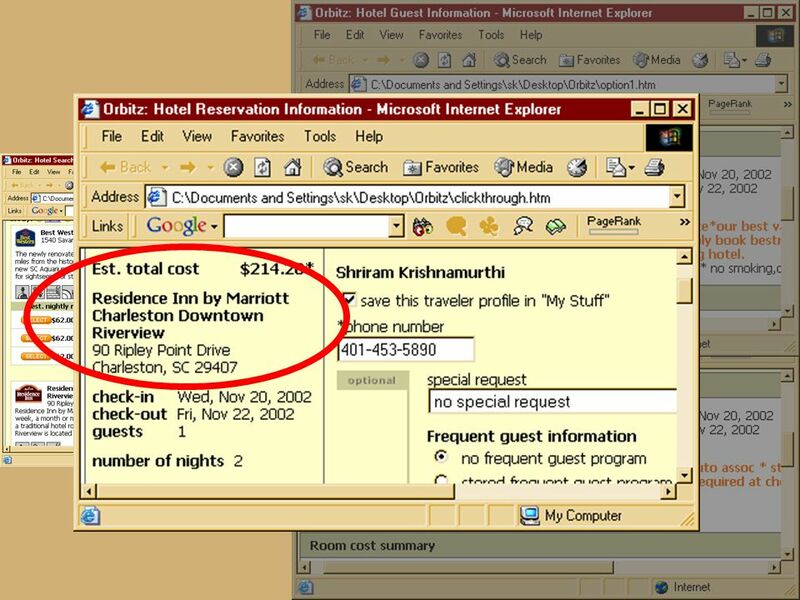 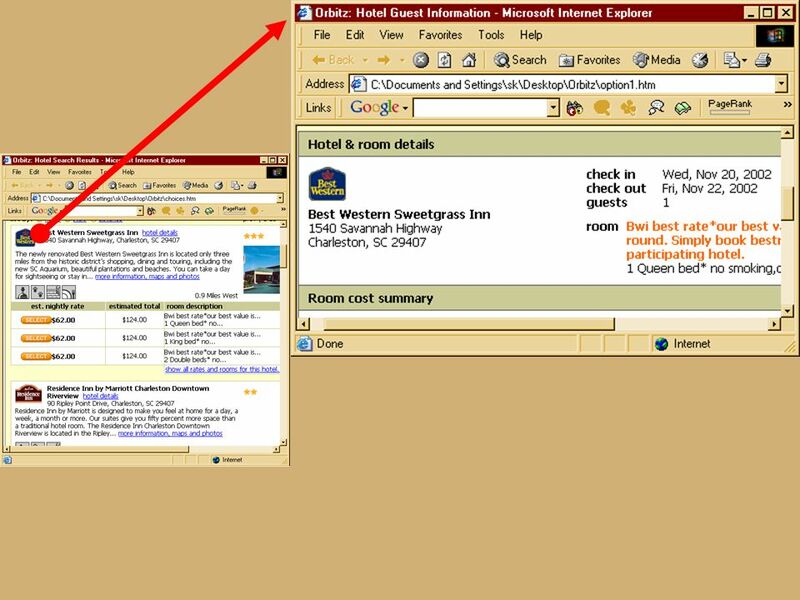 is just another kind of HTML tag HTML forms are used to create (rather primitive) GUIs on Web pages Usually the. 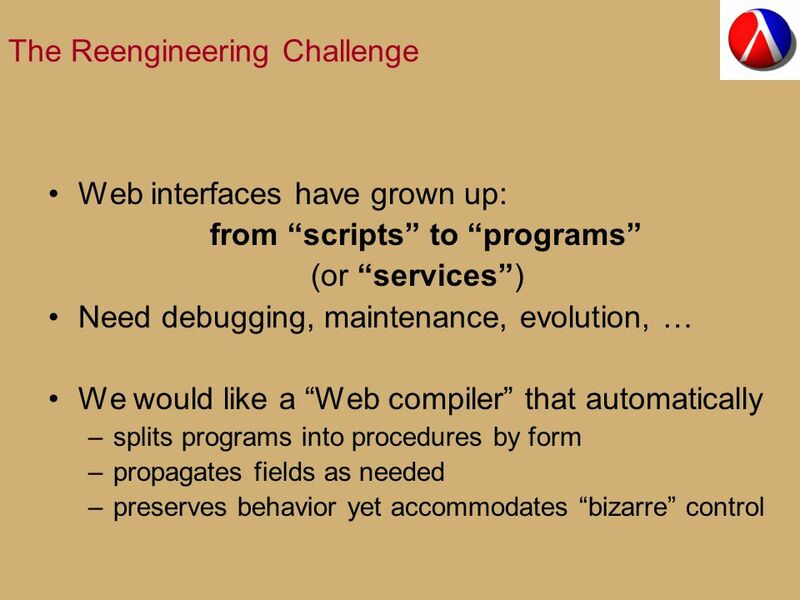 Compiling Web Scripts for Apache Jacob Matthews Luke Hoban Robby Findler Rice University. 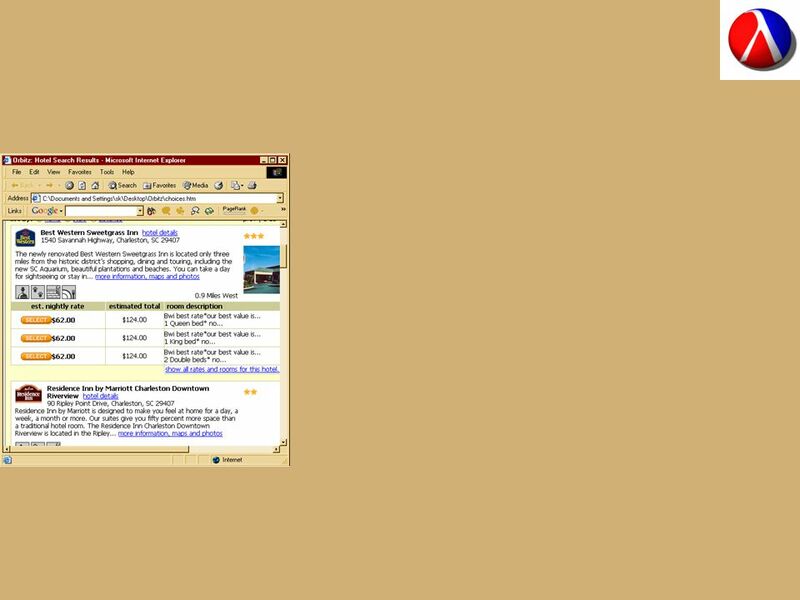  Copyright Wipro Technologies JSP Ver 1.0 Page 1 Talent Transformation Java Server Pages. 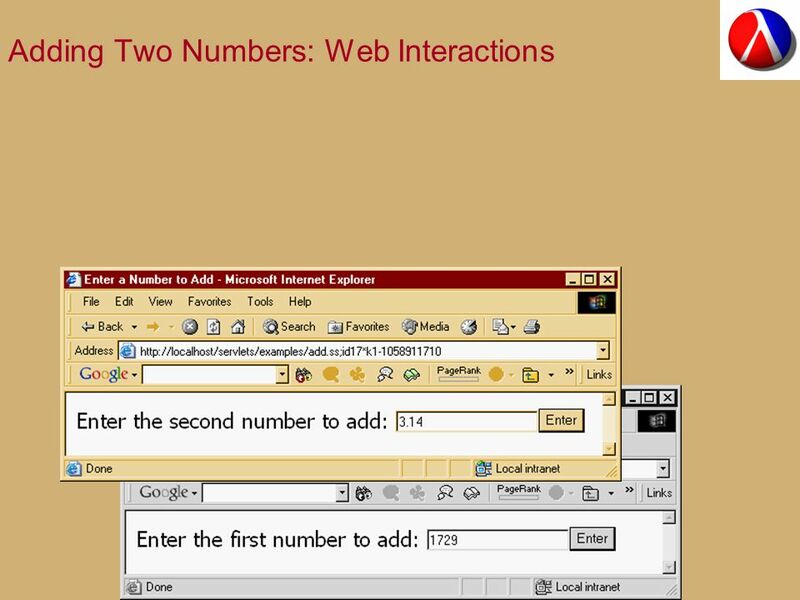 Browsers and Servers CGI Processing Model ( Common Gateway Interface ) © Norman White, 2013. 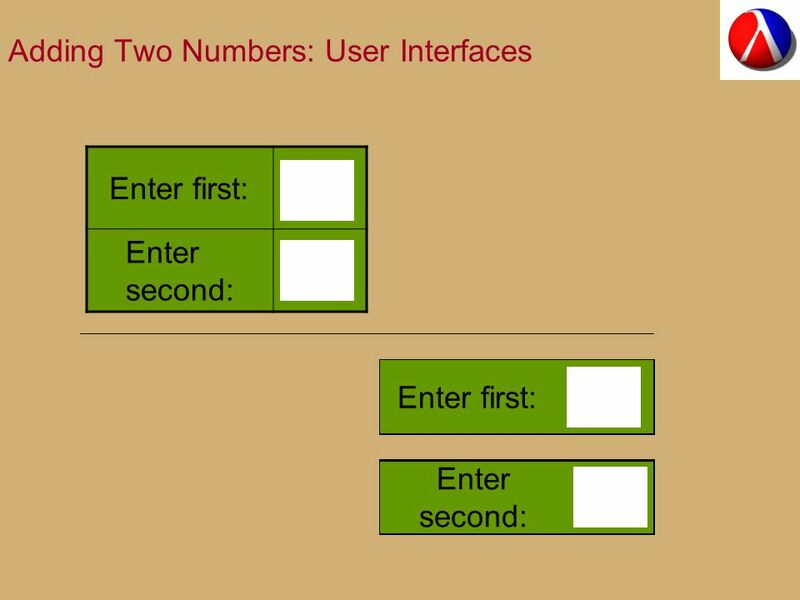 Safety as a Software Metric Matthias Felleisen and Robert Corky Cartwright Rice University. 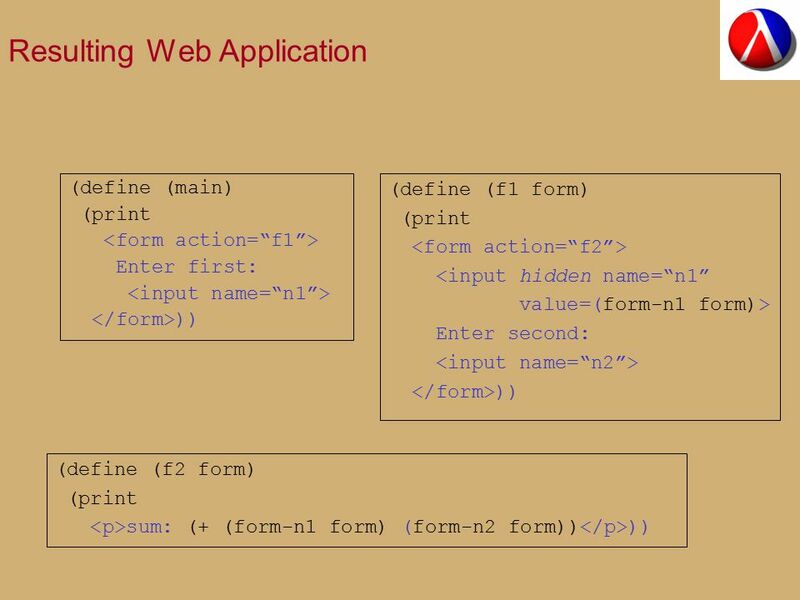 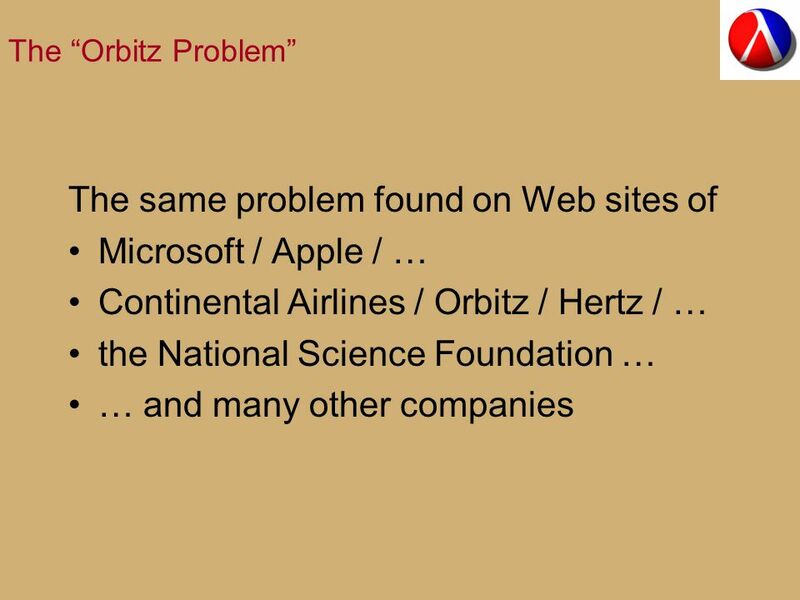 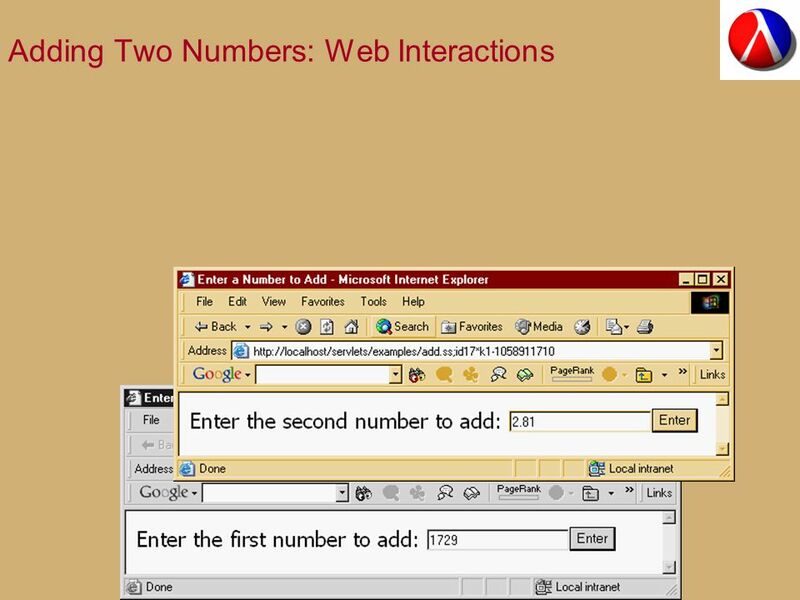 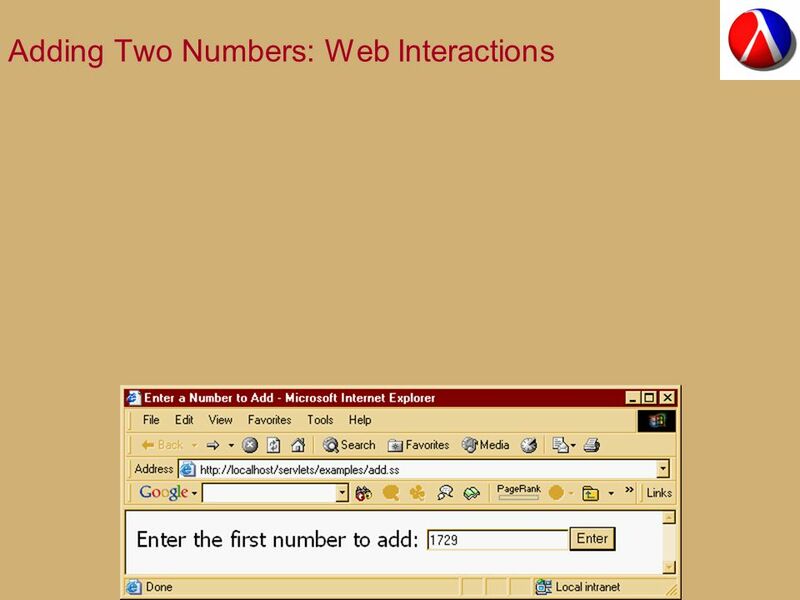 CS 290C: Formal Models for Web Software Lecture 10: Language Based Modeling and Analysis of Navigation Errors Instructor: Tevfik Bultan. 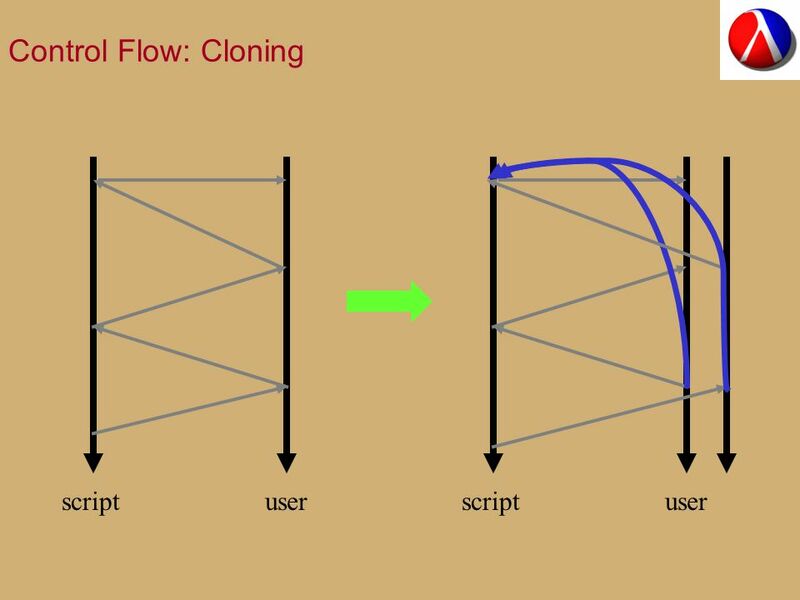 CS2135 Lectures on Script Position. 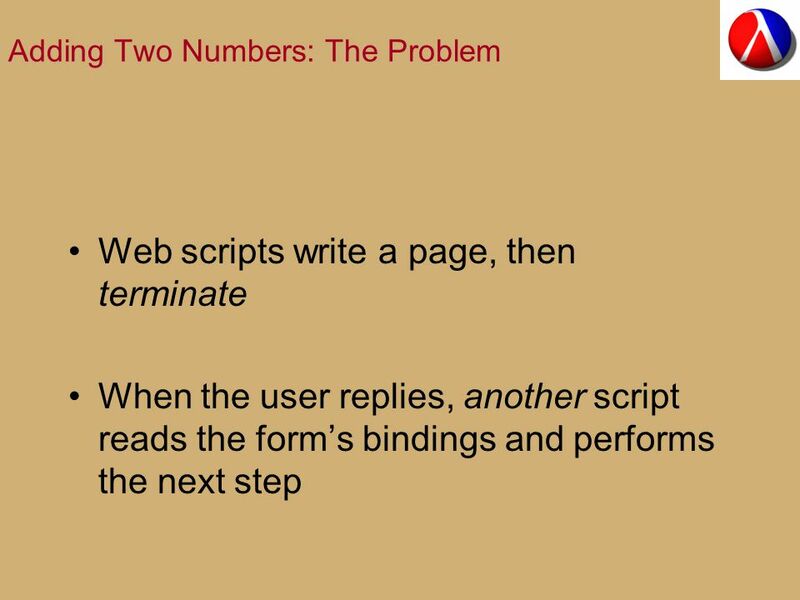 Recap: CGI scripts In the CGI protocol, there is no way to send the result of a script back to the page that invoked. School of Computing Science CMT1000 © Ed Currie Middlesex University Lecture 3: 1 CMT1000: Introduction to Programming Ed Currie Lecture 3: Program structure. 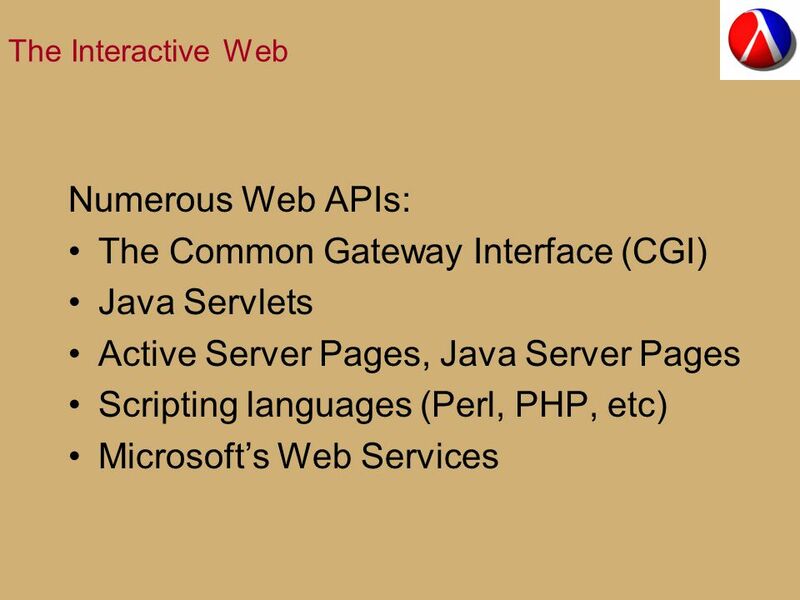 MC365 Application Servers: Java Server Pages (JSP’s) and Session Management. 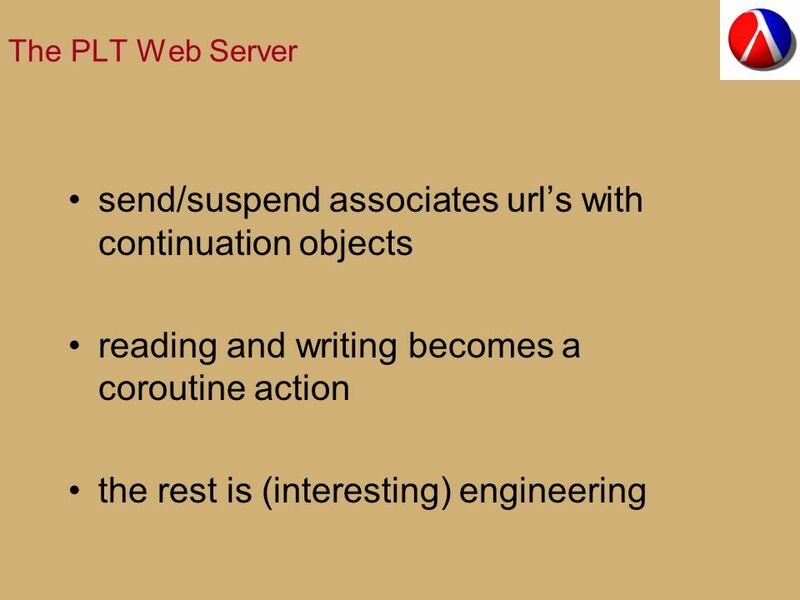 K. Jamroendararasame*, T. Matsuzaki, T. Suzuki, and T. Tokuda Department of Computer Science, Tokyo Institute of Technology, JAPAN Two Generators of Secure.